Prahaar missile launched on the 2011 flight. 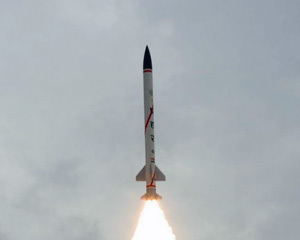 India’s Defence Research establishment (DRDO) is promoting an indigenously developed short range ballistic missile called Pragati, designed to strike targets at ranges of 60 – 170 kilometers. The new missile meets the limitations of Missile Technology Control Regime (MTCR) limiting the export of missile technology carrying warheads heavier than half a ton beyond 300 kilometers. 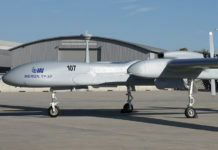 As such, it is positioned to compete with a number of similar weapons already available from the China, Iran, Israel, North Korea, Russia and the USA. It is based on the Prahaar missile, developed by the DRDO for the Indian Army and is considered as the export variant of that missile. 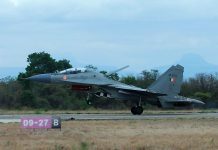 Although India has been promoting the Brahmos supersonic cruise missile for export, Pragati will be the first ballistic missile offered for export. 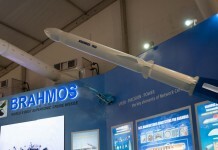 The first international appearance of the missile was this week at the ADEX defense expo in Seoul. The new missile measures 7.4 meters (24′, 3″) and 0.42 meter (16.5″) in diameter, it carries a conventional warhead weighing up to 200 kg. The Pragati missile uses solid propellant and is launched from a Mobile Launcher System (MLS). 2-6 missiles are carried by each vehicle (depending on the configuration). The system is designed for quick reaction, enabling a second missile launch five seconds after the first has cleared the rail. 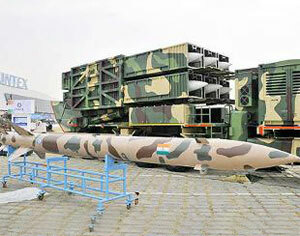 The Indian missile Prahaar was tested in 2011 striking a target at a range of 150 km with a precision of 10 meters. At a maximum speed of 4 Mach the flight time would be 120 – 360 seconds. 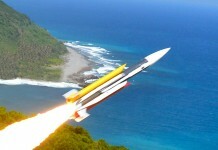 The missile uses a combination of thrust vectoring and aerodynamic control to stabilize its ascent and shape flight trajectory to achieve a circular error point (CEP) hit probability of ‘less than 20 meters’. For guidance, Pragati uses a combination of Ring Laser Gyro (RLG) based inertial navigation system assisted by global positioning navigation (GPS) reference. 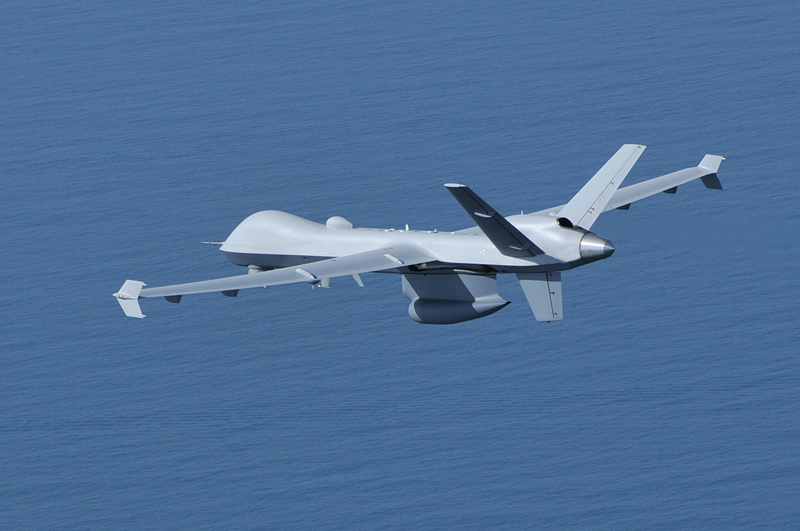 The missile system has quick deployment with salvo firing capability. The system includes One Battery Control Center (BCC) command & Control four launch units connected via Fiber Optic/LOS wireless link. The MLS is configured on High Mobility Vehicles (HMV) with six, four or three axles, depending on the weight and number of launchers used (six, four or two canisterised missiles respectively. The MLS has an electro-mechanical auto-leveling and articulation system enabling quick positioning of the system. 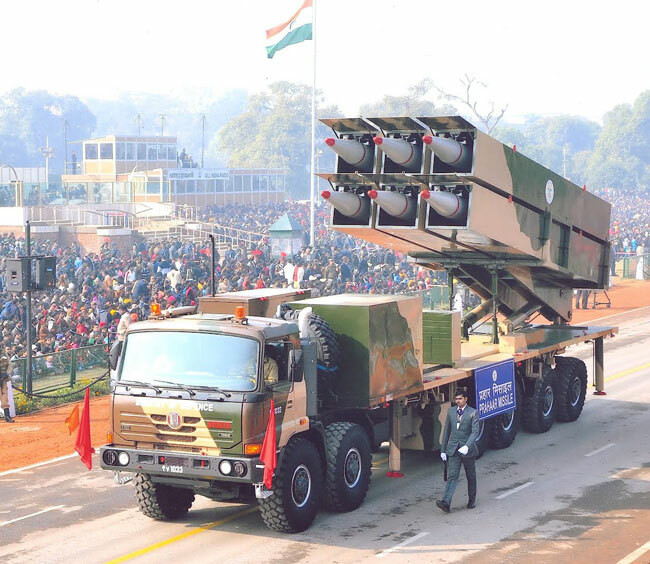 Prahar launch vehicle carrying six missiles shown on the independence day march in New Delhi.